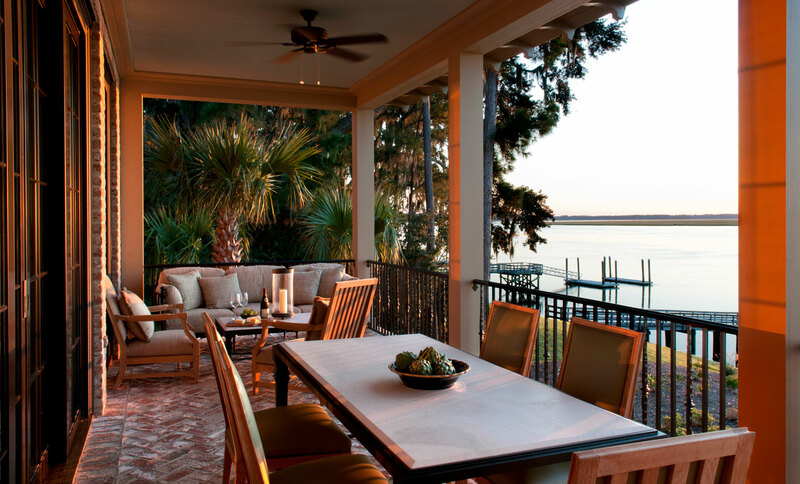 This romantic 10,000-square-foot home located on a salt water tributary of the Atlantic in South Carolina’s Low Country includes a wealth of luxurious details. 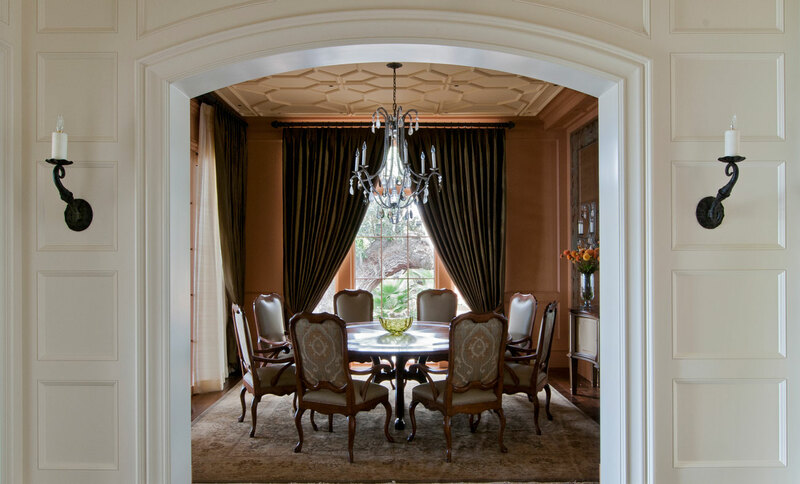 From hand planed walnut inlaid floors to perfectly proportioned wood paneling to hand crafted light fixtures and bespoke furnishings, the home exudes both elegance and comfort. 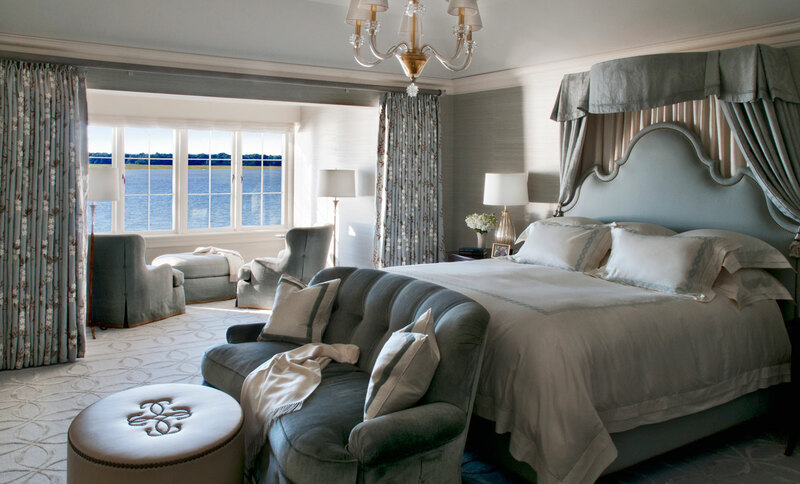 Its magnificent views of the constantly changing river and sky informed the restful color palette. 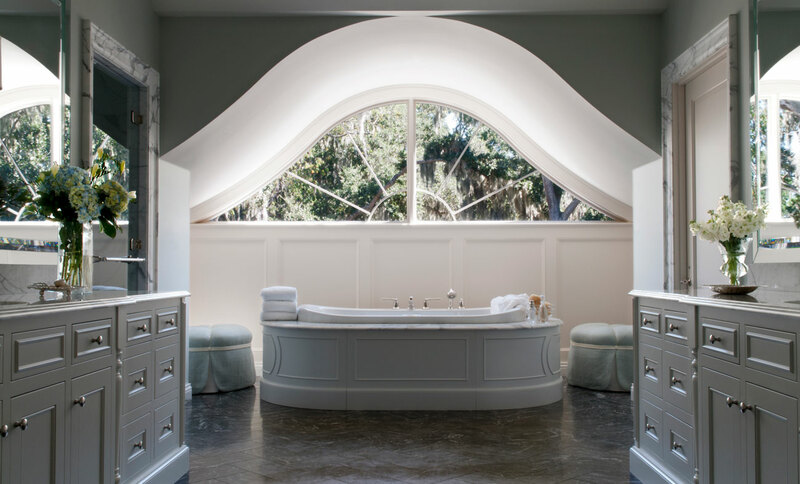 The exquisite work of local craftspeople imparts the home with a sense of place.